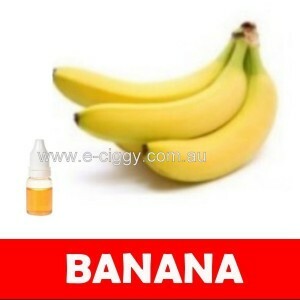 The Banana E-Liquid flavour is sure to delight you. Its subtle flavour melts in your mouth to give a sweet aftertaste. For those who love a subtle and a sweet taste, this liquid is perfectly blended and composed with ripened bananas to give an everlasting and unique tang. How to choose e-cig juice for you? Choosing the right type of e-juice is entirely dependent on your preference. However, knowing the categories of e-liquids can help you out in determining the e-liquid types and flavours that will fit your taste. E-liquids have different nicotine strengths. The amount of nicotine in the vapour produced by an electronic cig depends on the nicotine strength in the e-juice mixture. Nicotine-free e-liquids are available at our shop for those who want to use e-cigs mainly for flavour. E-liquids have different PG/VG ratios. There are three different types of e-liquids under the PG/VG ratio category. They are VG e-juice, PG e-juice and VG/PG mix. The VG (vegetable glycerin) e-juice is the thickest liquid mixture among the three. It produces a thick cloud of vapour and gives a more sweet taste to the liquid. The PG (propylene glycol) e-juice is made to produce a stronger throat hit. It is more focused on the feeling of the throat over thickness of smoke and sweetness. Since the PG e-juice has a stronger throat hit, sensitive people can't use it in their e-cigs. The PG/VG e-juice gives you the best of both worlds. It produces a good smoking experience and more flavour in the vapour produced by the e-ciggy. With the increasing popularity of ethem, a lot of fly-by-night dealers have been selling fake e-liquids. To stay away from fake e-liquids and other fake accessories, make it a point to only make purchases from reputable sellers. Before making a purchase, you should check the products for broken seals and any form of damage. Shop with us and be confident! Comment : The banana flavour of this e-liquid is so vivid, and intense; your sense of taste will swear you're eating a real piece of fruit, not hitting an e-cig. Some of those "other's" aren't too bad, so for this banana flavour to stay ahead of the competition; it has to be one of the best. Comment : Has anyone tried? I'm worried it may taste too much like candy. Rating(s) and review(s) : Banana - Reviewed by : karen O - Rating 5 / 5 - The banana flavour of this e-liquid is so vivid, and intense; your sense of taste will swear you're eating a real piece of fruit, not hitting an e-cig. Some of those "other's" aren't too bad, so for this banana flavour to stay ahead of the competition; it has to be one of the best.